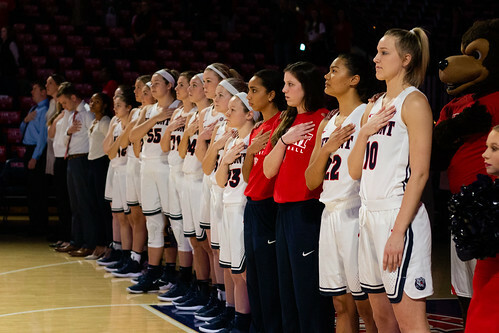 The Belmont women’s basketball team laid down the hammer Tuesday night as it won the Battle of the Boulevard over Lipscomb 83-43. The Bruins led for the majority of the game and the Bisons weren’t able to catch up. Senior Ellie Harmeyer and junior Maddie Wright both had huge games, scoring 14 and 15 points respectively. Freshmen Grace Smith and Conley Chinn also had great games, scoring their career highs. Smith scored six points while Chinn scored 15 points, including three consecutive 3-pointers. The Bruins’ record improved to 5-3, and the team will get some time off to prepare for its matchup at University of Tennessee Chattanooga on Dec. 17. This article written by Steven Boero. Photos by Carina Eudy and Melissa Kriz.